Attention, future coders! Goldie needs your help to deliver cupcakes! Uh oh. Goldie and her friends can’t remember whose birthday it is… so! the obvious solution is to deliver cupcakes to EVERYONE in Bloxtown! With cupcakes from the CUPCAKE-O-MATIC and Goldie's new invention, the Super Speedy Rocket Skateboard, delivering cupcakes will be a breeze. But they need super-coding pal Ruby Rails and YOU to put this plan into action! 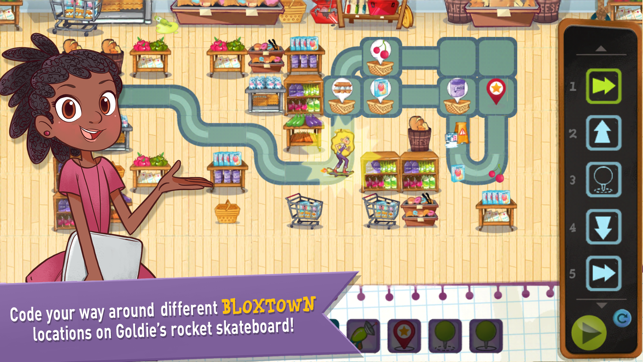 Code the path of the Rocket Skateboard around the grocery store to pick up ingredients. Next, head to the Bloxshop kitchen to scoop up the cupcakes. Loaded with sweet treats, head to Bloxtown for delivery! Learn new coding concepts as the map gets trickier, play mini-games for a change of pace, and earn stickers for your Bloxshop wall! 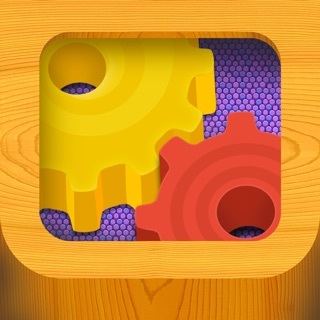 - Over 20 levels of coding puzzles in Adventure mode! 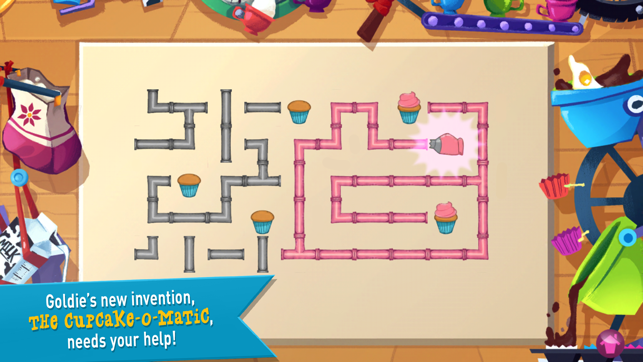 The Rocket Cupcake Co. is for ages 4 and up, and teaches coding concepts that engineers of all ages can be proud of. 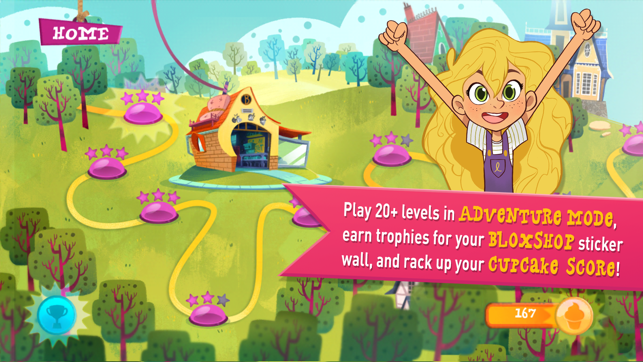 GoldieBlox has had over 1 million app downloads and over 1 million toys sold across more than 6,000 major retailers worldwide. 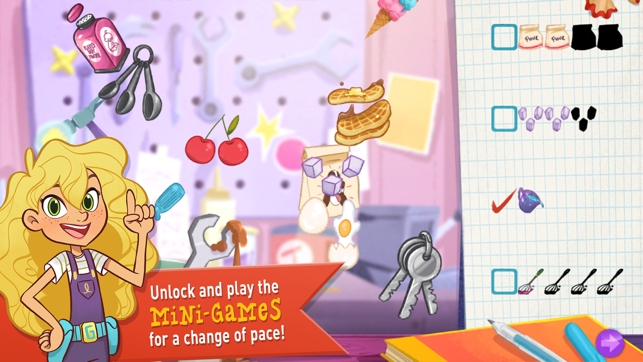 To learn more, visit www.goldieblox.com. GoldieBlox has grown from Kickstarter phenom to toy powerhouse, and we’ve been impressed with what they make every step of the way. 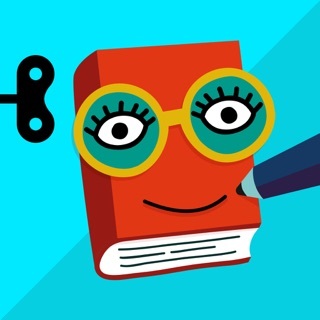 This clever app is no exception. 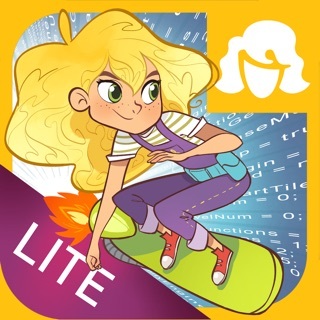 It doesn’t shy away from its “learn to code” message, but instead proudly pulls it off with colorful activities and mini-games that young girls love. We’re thrilled to share it with our daughters. 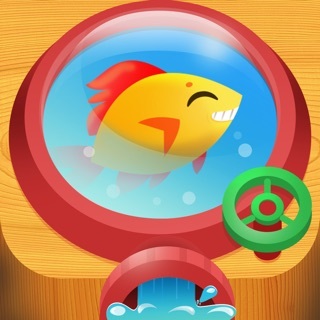 I'm obsessed with this app! 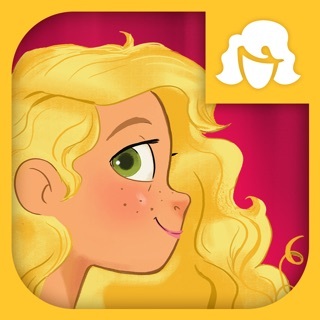 My kids (4, 7 and 9) all love it -- the app levels get more complex as you grow your skills so it really works for all ages! 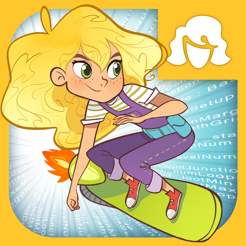 It's even fun for mom, who never tried coding before. I can't stop playing! I never realized I might like coding too! 5 stars!!! I was looking for something educational AND girl-focused that wasn't baking, coloring or shopping. These apps are hard to come by. My 7yo daughter LOVES this game! She figured out how to play this game right away. Simple but challenging. Five Stars!! 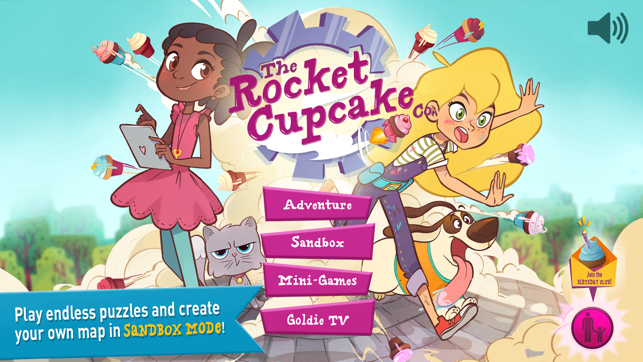 GoldieBlox Lite - The Rocket Cupcake Co.